What a classic combination! 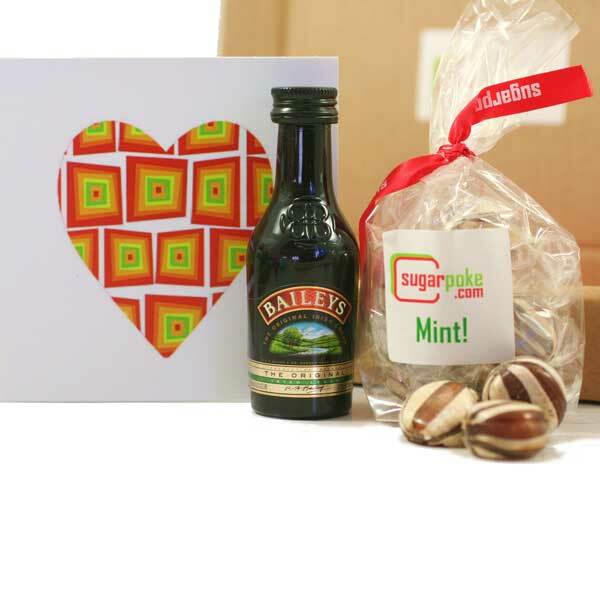 Creamy Baileys with fresh minty chewy humbugs to savour. A bag of Mint! - an old fashioned favourite of 10 x minty humbug sweets with a stripy hard shell and chewy middle. Yum! Perfect to say Put Your Feet Up!, Happy Birthday, Happy Anniversary, Well Done, Congratulations.....or Just Because! What a wonderful treat, a mini bottle of delicious bailrys and humbugs to chew on. I was delighted with this gift which landed on my doormat on my birthday.